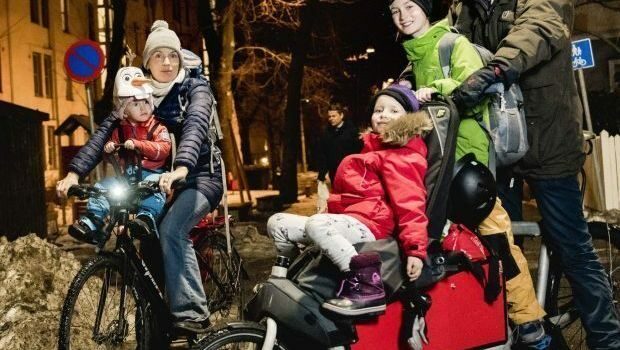 Small and large vans account for 15 percent of Oslo’s carbon emissions. Beet Kantiner no longer contributes to that statistic. “I’ve worked for the company for 10 years. Our transition to electric vans has been problem-free. So far, I haven’t had any trouble with charging,” says Zabihullah Akbari. The van’s payload capacity is 400 kg and it is filled with coolers for transporting food. Akbari is a driver for Beet Kantiner, which supplies food to cafeterias and vending machines all over Oslo, including for public transport operator Sporveien. Today’s delivery round is 95 kilometres, which is just feasible without recharging. Halfway through his deliveries, Akbari has arrived at Sporveien’s headquarters in Tøyen, where there is a lunchtime rush. “We made the decision in 2015 and since then we’ve only had electric vehicles. 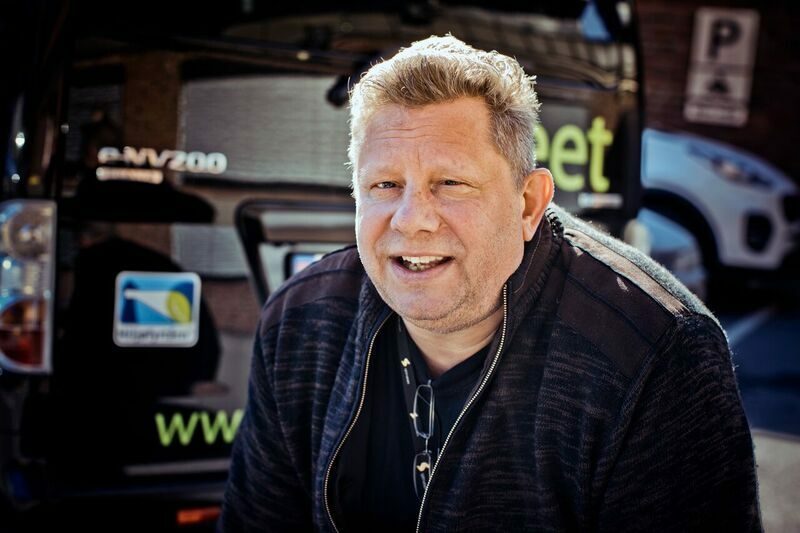 Now we have three electric vans and one passenger car, and we haven’t regretted it for a second,” says Erland Ødegården, one of the partners in Beet. “Of course you have to adapt your driving style – overtaking uphill doesn’t work. 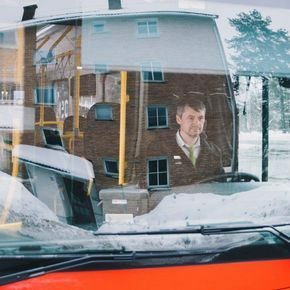 But we have had the vehicles for over two-and-a-half years now, and on 19 out of 20 working days each month, we drive without recharging, even during the winter,” says Ødegården. Small vans being driven around Oslo emit 112,000 tonnes of CO2 equivalents (CO2e) each year, while HGVs account for 75,500 tonnes of CO2 These figures do not include emissions from foreign HGVs. 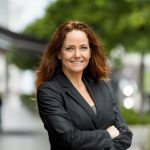 The Norwegian parliament has legislated that vehicle owners who replace a fossil-fuel commercial vehicle with a zero-emission vehicle should receive an additional scrappage payment of NOK 13,000. New research by the Institute for Transport Economics (TØI), shows that 15 percent of Oslo’s greenhouse gas emissions come from small and large vans. This is more than the City of Oslo had realized. “Small vans account for a larger proportion of emissions in Oslo than we thought. But this is actually good news for us,” says Heidi Sørensen, director of the Climate Agency in the City of Oslo. She explains that commercial vehicles are replaced far more frequently than private cars, and that there are already electric versions of the small van models that account for most of the emissions. “Until now their operating range has been limited. But a TØI survey in 2016 showed that businesses are very positive. Half of the managers [in the survey] said that they would start using electric vans within five years. This gives us a lot of hope that these will take off soon,” says Sørensen. Sjåfør Zabihullah Akbari drives about 100 km each day delivering food to Sporveien’s canteens and vending machines. The van is driven seven days a week, year-round. Even after driving 70,000 kilometres, the van has never been to the workshop. According to the survey, tradesmen and service businesses are responsible for most journeys made using small vans. In 2016, the TØI collated data from the electronic mileage logbooks in 115 small vans used by businesses. 63.5 percent of the vans were driven no more than 120 km a day. 37 percent were never driven further than 80 km. The researchers concluded that a van with an operating range of 200 km would be sufficient to cover transport needs throughout the skilled trades and service sector. Electric vans are already competitive on price if one takes account of reduced fuel costs. Accordingly, businesses in the survey reported that practical advantages, such as the ability to drive in bus lanes and priority parking, where just as important incentives for buying an electric vehicle. The City of Oslo is providing grants to subsidize the installation of chargers for electric vans at the workplace and at the private residents for professional craftsmen. Electric vans will be granted easier access to street parking and reserved charging stations in the city centre from 2019. “Now each of these vans has driven 50-55,000 km, and they’ve never needed to go to the workshop. We haven’t even changed a light bulb! Not one defect. In addition, several of us live outside the toll ring, so it’s been a bonus for us, from a financial point of view,” says Ødegården. But the real kick up the backside came when the business gained Eco-Lighthouse certification in 2014. “We became more aware of our fuel consumption, which was also a major expense for us. Now we’re saving money and at the same time it’s given us a PR boost. People notice our vans on the street, and it’s also important in public-sector tendering,” says Ødegården’s business partner Kjell-Ivar Gudbrandsen. Erland Ødegården hasn’t had one second of regret that he got rid of all his diesel-fuelled vans. Now he’s on a mission to persuade other business owners to switch to electric vehicles. Currently, charging the vehicles is his only problem. “We need to transport passengers and need more than two seats. Now the city authorities have removed charging points in the city centre for vans without green licence plates, and that makes our working days more difficult.For others in the sector, it’s no doubt the operating range that is the major headache,” thinks Gudbrandsen. “Few vehicles can drive far enough, and if the vehicle also has to be filled with equipment, its range is even shorter. But I think change is on its way. Our supplier, Asko, has already ordered a large electric truck, so who knows how the world will look in five years’ time. Large trucks (HGVs) account for 6 percent of Oslo’s emissions. Currently there are few electric alternatives. “But there is potential for improving logistics and rationalizing transport. HGVs accounted for about 4.3 million journeys in Oslo in 2016. The trucks were empty on 40 percent of these journeys,” says Sørensen. Most informants in the 2016 study said that there were “significant opportunities for reducing the number of trips to the warehouse for construction materials, or similar,” but that few companies had taken steps to improve the situation. 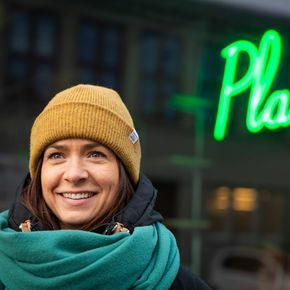 This story was first published in Norwegian in April, 2018, and updated in February 2019.